What "new activity" could you try with your kids this March during spring break? And it could be as simple as visiting a new playground or trying a new hiking trail. Below are ten suggestions to get those creative juices flowing. There's not much snow remaining on our local sledding hills but fortunately, ski hills still have plenty of snow at their tube parks. Tubing is easy, gentle on the body, and requires no particular fitness level or athletic abilities. To try the closest one, visit Winsport's Canada Olympic Park and spend some time at the new Winsport Acura Tube Park. It will be open afternoons from 1 to 8 pm on March 16-17, 20-24, 27-31. Otherwise it is open from 10:00 am to 5:00 pm on weekends. If you want to take a road trip and go a little bit further for the day, the Nakiska Tube Park is also a lot of fun. It is open from 10:00 am to 4:00 pm Fridays, Saturdays, and Sundays. Combine your outing with some skiing at Nakiska or a short hike to Troll Falls. The new Market Cafe is also open at the Delta Kananaskis Lodge if you want to go for a walk around the Village. Alternately, for a fun weekend outing with the whole family, pack the kids up for a trip to Lake Louise where you can try out the Lake Louise Sunny Tube Park which is open from 10:00 am to 4:00 pm daily. And you can read more about our family adventures at the Lake Louise Resort snowshoeing, skiing, and tubing here: Family Guide to the Lake Louise Ski Resort. Climb ladders, a bean stock, or a volcano! Walls light up with interactive features! The Climb Park uses an auto belay system on all walls and features meaning you'll need no experience and you won't have to belay your children. You can all climb together at the same time, cheer one another one, and even race each other on the timed walls. To read my full review, visit: Calgary's New Climb Park - The Hanger. And follow this link to check out their spring day camps and PD days. Climbing in the glow in the dark cave! We've visited a number of indoor trampoline parks but InjaNation is still my favourite. It blends the features of a trampoline park with those of a climbing centre and a parkour gym. Add obstacle training courses and there's enough here to keep the whole family occupied and happy for a full afternoon of fun. Check out my recent review here: InjaNation - Calgary's Newest Indoor Adventure Park. Follow this link for information on their spring and summer camps. 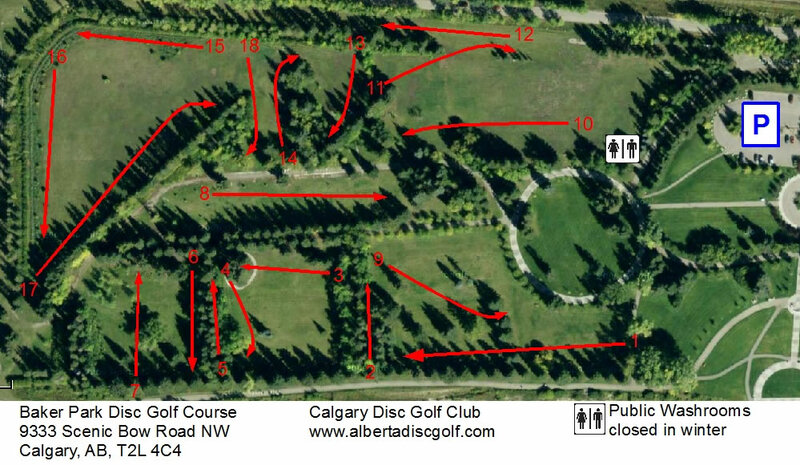 We like to play disc golf year round in Baker Park, NW Calgary. The rules are simple and you'll burn a lot of calories running around the park hunting for the next hole. Find hole number one and throw your disc or Frisbee down the fairway towards the basket at the end. Go on to find hole number two and continue. The Baker Park course has 18 holes but you can just play the first 9 if you want to try it out for a quick hour. I'm sure there are a lot of other "rules" such as keeping score and trying to follow the guidelines for recommended "par" on each hole, but we just throw our discs, have fun, and don't count. The Helicopter playground, NW - My 8 year old is outgrowing this one now but we've liked the paved path around the playground for learning to ride a bike. The playground is fun too. The Curry Barracks airport playground, SW - Challenging to find but easily a favourite playground once you navigate your way through neighborhood construction. The East Village Playground and St. Patrick's Island playground, Downtown - We like biking or riding our scooters between these two playgrounds. We connect them with the Prince's Island Playground as well for a giant playground hopping day. Bike further and you can easily reach the Nellie Breen Playground too in Inglewood. Elboya Park Playground, SW - This giant playground has a lot of features we haven't seen at other playgrounds. It is well worth a visit. Colonel Walker School Playground, SE - This is one of the more challenging playgrounds we've visited and great for older kids! Bowness Park playground, NW - We like biking the Baker Park - Bowness Park Loop, starting in Baker Park with a stop at the Bowness Park playground. The loop is paved and great for novices learning to ride a bike. We also like it on scooters. If you've been meaning to put the kids in a ski or snowboarding lesson all winter now (and it just never happened,) there's no need to put it off till next winter. Spring sun makes for warm ski days and it's a lot easier to learn to ski when you aren't freezing cold. Winsport's Canada Olympic Park has Spring PD Day Camps and Nakiska also offers 1, 2, or 3 day spring camps. I also think it would be fun to sign the kids up for a snowboarding camp (if they already ski) just to try something NEW. Always wanted to know what snowshoeing would be like, if it would be fun, if the kids would enjoy it... Well, I wouldn't recommend buying snowshoes right off the bat, but you can rent them at Kananaskis Outfitters at Kananaskis Village and then head out to give it a try before committing to purchasing snowshoes next winter. There's a Snowshoe Loop that circles around the ski trails at the Village and you can also hike to nearby Troll Falls or along Ribbon Creek. We skied Ribbon Creek recently and it was a lot of fun. It would be just as much fun on snowshoes. 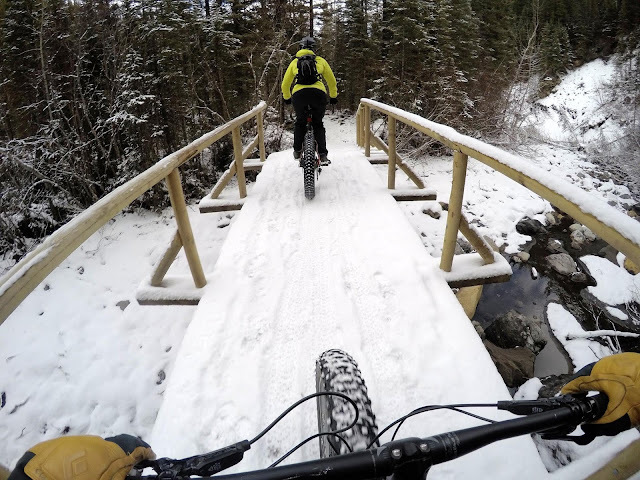 Kananaskis Outfitters rents fat bikes and runs fat bike tours to nearby Troll Falls (an easy ride for anybody who's done a little bit of beginner mountain biking.) Unfortunately they do not rent children's fat bikes but they do have adult small bikes which would be appropriate for someone around 4'10 to 5 feet tall. 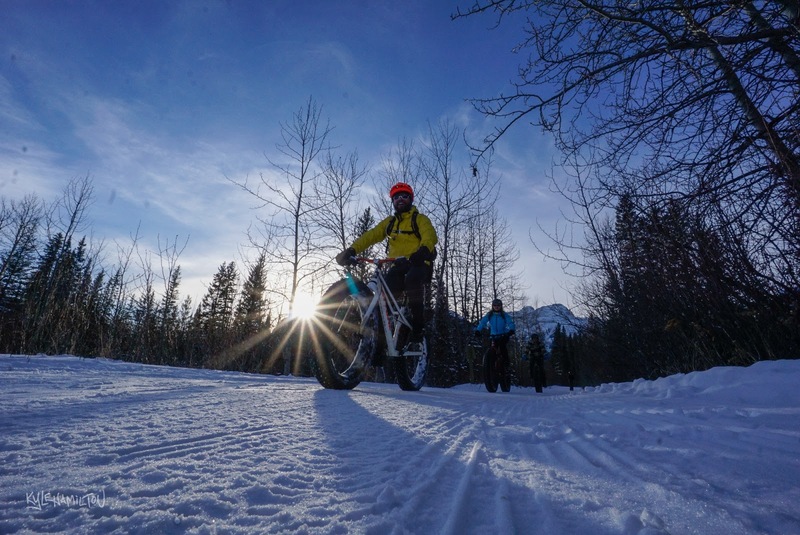 A map of all fat bike trails in the Kananaskis Valley can be seen here. 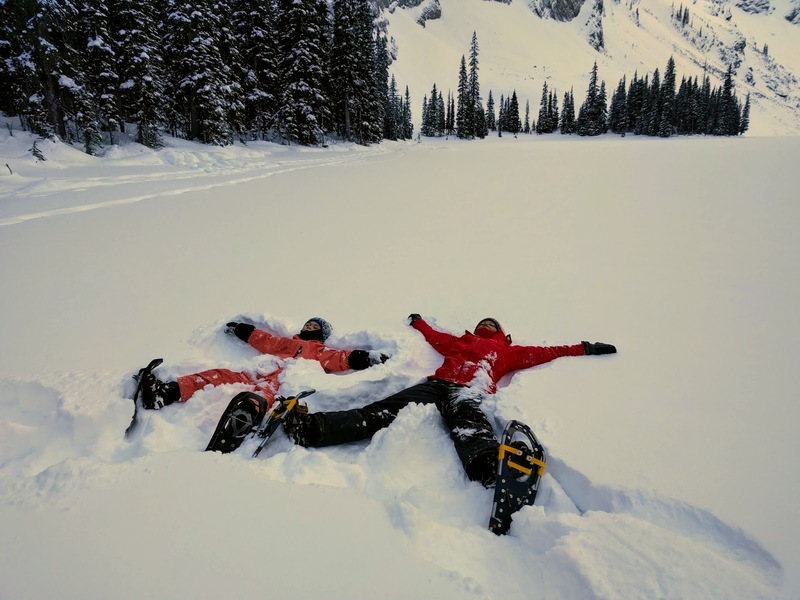 If you want to try fat biking with younger children, you'll have to make a trip to BC where we recently tried fat biking at Nipika Mountain Resort. (which I highly recommend!!) Panorama Mountain Resort in BC also rents fat bikes for adults and plus sized bikes for kids which work well on snow. You can read about that adventure here: Panorama Mountain Resort - much more than downhill skiing. Spring sun isn't especially good for ski trails but you can extend the season with a day at the Canmore Nordic Centre where the trails get groomed and freshly track set daily. I've skied here as late as April before and still had good snow. To read more about skiing at the Canmore Nordic Centre check out my newest cross country ski story: Family Cross Country Ski Trips - Our Favourite Destinations Near Calgary. Visit the Trail Sports website for information on ski rentals at the Nordic Centre. You can also rent sleds for pulling younger kids. Need some inspiration for a hike or urban walk close to the city? Check out these links below and pick one to do as a family over the Spring Break. For more inspiration, you can read Gotta do THIS - the March Edition. You can also start looking ahead with the 2016 version of Gotta do THIS - April. A new one will be published soon.